WelCome My Friends. Thank you for joining me. Today we’re going to look at sebaceous cysts. I had a friend reach out to me about these & decided I needed to share my findings. The first thing I needed to do was learn what I could about sebaceous cysts. That’s when I learned I have one & it’s what was on my dad’s arm. We were lucky since ours didn’t hurt. Apparently, some do. Cysts are abnormalities in the body, usually containing a liquid-ish material. Usually they are slow growing, non-cancerous & non-life threatening. Depending on where they develop & how large they grow, they can become painful. The sebaceous cyst is caused by some sort of trauma or malformation to the sebaceous gland. This gland produces & secrets sebum, an oil-ish fluid that coats your hair & skin. Only a medical doctor is trained to know the difference between a sebaceous, epidermoid or a pilonidal cyst. Each one is a malformed or damaged gland or skin or hair follicle. Each of these are part of the epidermis (our skin). This is our largest organ & takes a lot of abuse. One of the major functions of the skin is to eliminate waste from our body. Because of this irregularity, the pore can become blocked. When that happens, you can develop a mass of some sort, somewhere on your body. Ok, we’ve identified the body part affected & the function of that body part. That gives a starting spot. As we research natural cures we’ll have a feel for its potential. So, let’s dive on in! As I said the skin is an organ whose function is to help eliminate toxins from our body. It does that through pores & sweating. When these pores become clogged or damaged & are unable to do their job, then the system starts backing up & pushing out in other ways. Acne is an example of just that very thing. I would recommend detoxing your system to start. 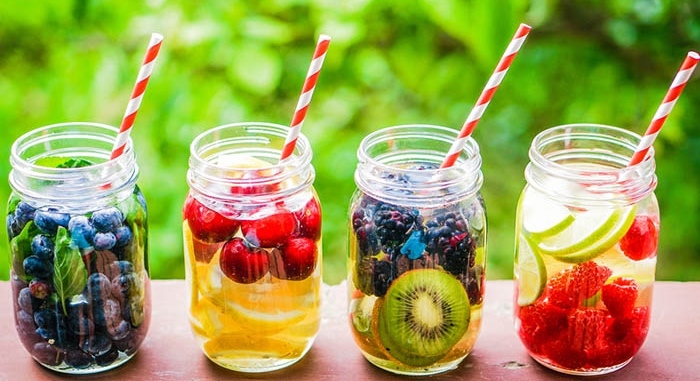 There are a lot of recipes for delicious detox drinks. I prefer to drink mine in the mornings. My choice was a cup of warm water, half a fresh squeezed lemon juice, turmeric, organic honey, ground ginger & black pepper. I drink this every morning for 30 days. opening my pores & my mind, letting out the toxins from both. I want to tell you that part of what started me on detoxing was starting Plexus. Plexus is a company that makes plant-based supplements that aid in healing your gut. You can read more about it earlier in this blog at http://blog.lbelitearomas.com/search?q=the+why. Since I started Plexus I have increased my water intake to just over 80 oz. a day. Increasing your water intake is huge, in my opinion. Our bodies are mostly water, so the body needs water replaced to function. 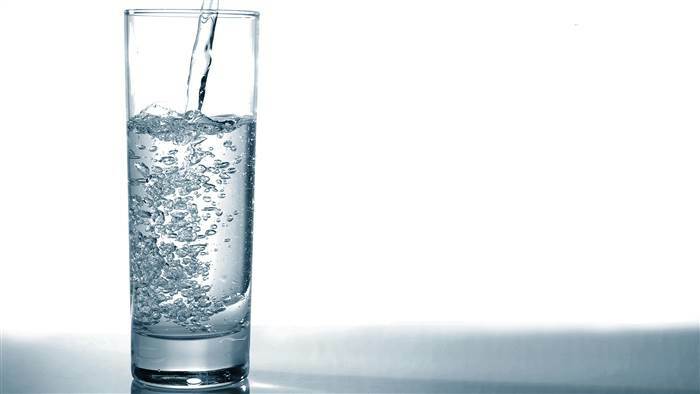 The more fresh water you intake, the better all your organs will work, including your skin. So far, we have taking water in, giving the body what it needs to function. Elimination of this water carries off the toxins. Sounds like a good start to me! Next, we can look at how to relieve the built-up pressure & maybe even heal the irregularity of the skin. May I say there is a ton of suggestions? Lol, I’ll see what I can do w/it all. 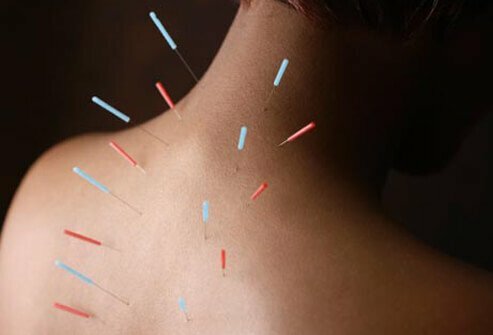 Acupuncture & Massaging – My understanding of Acupuncture is that it increases blood flow to areas which are blocked. If this is correct, then I would agree. I know Massaging, (especially the deep tissue massage) increases blood flow to the knots in the muscle. That’s why they’ll usually hand you a bottle of water after the massage. The massaging breaks up & releases the built-up toxins. You need to increase your water intake to help eliminate those toxins. You need to be careful, though, with massaging a cyst. You don’t want to cause more trauma to the already injured pore. I would suggest easy massages. But you can add Essential Oils to the massage that will encourage increased blood flow. They’re known as “hot” oils. They’re photo-toxic. When exposed to the sun they will increase the heat where applied, so DO NOT USE 12 HOURS BEFORE GOING IN THE SUN. You also want to be careful of becoming over sensitive to one of these oils, so I would suggest either using sparingly or diluted. It may take longer, but could be better for you in the long run. There’re a few items you may already have around your home that you could use. Castor oil, apple cider vinegar, baking soda paste, raw potato slice, honey & cinnamon paste, aloe vera & witch hazel, to name a few. You apply it anywhere from a half hour to bandaged for days. Personally, I wouldn’t leave anything on for days. Most I would do is all night while sleeping & while at work. Cleaning & letting it breath in between bandages. I mentioned diluting Essential Oils so you could apply them to the cyst. 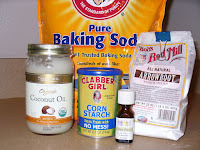 You could add a drop or two of Essential Oils to the two pastes I mentioned earlier, baking soda & honey/cinnamon. If you wanted to heal the skin, you might add Tea Tree Essential Oil. Tea Tree Essential Oil is non-photo-toxic, so you can use it before going outside. When my friend asked me if there is a natural way to cure a sebaceous cyst, I didn’t know thing one about them. During my research, I figured out I have two. One is on my outer arm, between the inner & outer elbow. The other, I realized, was at the bottom of my hairline on the back of my neck. In the past year, I really hadn’t been paying attention to them. They were never very big, nor do they unduly bother me. Their presence bothered me, but the cyst itself did not. Now that I realize what they are, I’ve checked them out. They are smaller. The one on my arm I hardly even feel it anymore. The one on my neck is hardly noticeable. As I mentioned, I take Plexus, drink lots of water, detox about every six months. 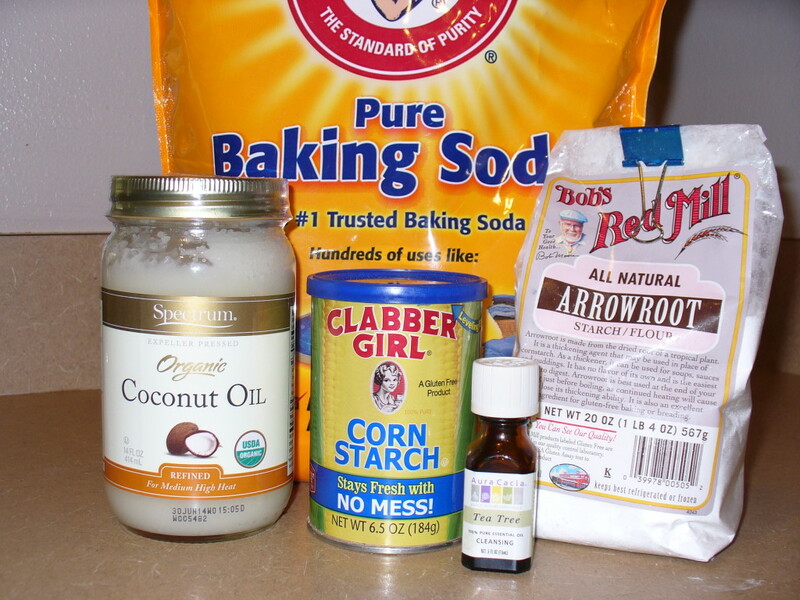 I also use my own deodorant made from baking soda, corn starch & Tea Tree Essential Oil. This blend encourages the body to detox & heal, while preventing odor. You can also make it in stick form, utilizing coconut oil & starch flour. Then there is the Grapeseed oil & Tea Tree Essential Oil blend. 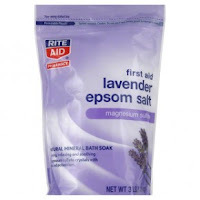 It softens my skin, while aiding in the removal of skin tags. Grapeseed oil is a fast absorbing carrier oil. This helps in getting the healing properties of Tea Tree Essential Oil to the inside of the body. To tie this up, I’ll say this, you need to learn your body & listen to it. Heaven knows it’s a work in progress, but any step is momentum. In the past year, I have been learning & growing. I’ve started doing things I didn’t think I would do & enjoying it. I would say that for me the key has been moderation & perseverance. I would love to hear of your journey. To be able to learn from you. My friends, I pray this has somehow enlightened your life.